It is Peace One Day today. Peace One Day was founded by Jeremy Gilley, an actor and filmmaker who made it part of his life's work to help the world focus on peace. In doing so he founded Peace One day,a day of ceasefire and nonviolence, in 1999. Check out the Peace One Website to learn more about this important global initiative. 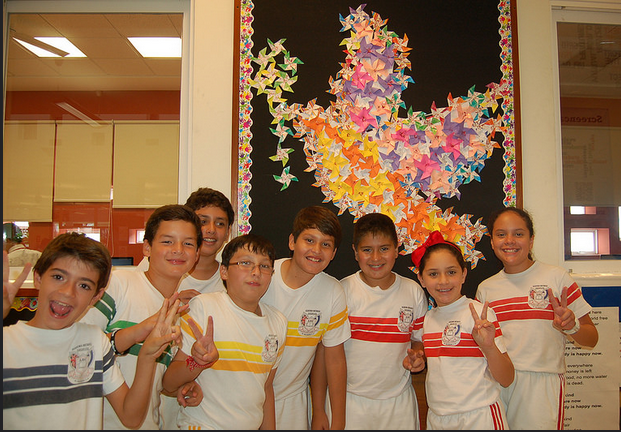 The LRC Celebrated Peace One Day with special displays, while continuing to run the Salvadoran Civic Week Class Tours. The Secondary School celebrated Peace One day with a special Peace One t-shirt day and assembly. Check out some of the pictures from today on our Peace One 2014 Fickr Album. Question of the Day: Who will you you make peace with?